Interior Features Gorgeous interior space. 2 bathrooms, kitchen area, original brick, exposed beams and swanky industrial design. Wide open space or easily separate. Office and warehouse capabilities. Easy deliveries or access to space. High traffic area of historic down town Savannah. Short few blocks to famous River St. 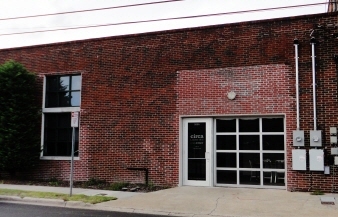 Exterior Features West Jones Street frontage. Includes 12 private parking spaces.